The Full Service Lawn Maintenance Spartanburg Needs. Cochran Landscape has been providing Spartanburg property owners with a variety of lawn maintenance services for over a decade. Whatever you need to keep your lawn or landscape in tip-top shape, we have you covered at an affordable price. We can lay out a full yearly plan if you would like to make sure we are on the same page and understand how to best maintain your property year round. We want you to have a beautiful lawn and landscape that you are proud of. At the same time, we want to make your life easier by saving you time. Our service is based on completing jobs on time, and talking with you about how the lawn looks and any thing we can do to ensure your happiness. If any adjustments should be made to your services, we’ll have a conversation with you and direct our crews to make the changes you desire. We consider our work with you to be a partnership, not just four hours one day on your property and nothing more. Our services are pretty flexible. If you know you need something done, give us a call and we can probably handle it. 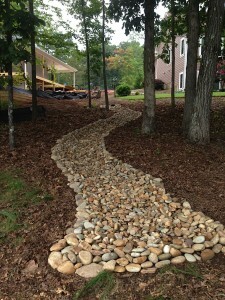 If you want to figure out all the landscaping maintenance needs for your Spartanburg property. Here is a list of just some of our landscaping maintenance services for the Spartanburg area.